Details are forthcoming but our newsroom has recieved this clip of what appears to be GSU officers beating three individuals. We are not sure what led to this situation but we are told that the three men are brothers and that one of them is a minor. Our newsroom is following up on this story to get more details. Update- Love News has been told that the officers in the video are not from the GSU but rather the MIT. There are further developments that we are looking into and will update you as we get more information. 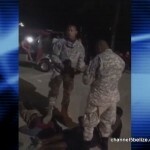 The Human Rights Commission of Belize has seen video clips of a violent incident between the MIT of the police force and a subdued civilian in San Pedro. The footage is deeply disturbing and appears to be a disciplinable cause for action by the professional standards branch. This is from all appearances and angles a case of excessive force. It is especially lamentable that it falls within a time when the narrative is protected by the fear brought on by a deadly spike in murders for the new year. Law abiding citizens have a reassuring expectation that the police will not break or abuse the law and their authority. They ought not to have to choose between criminal acts by the police and law protection. 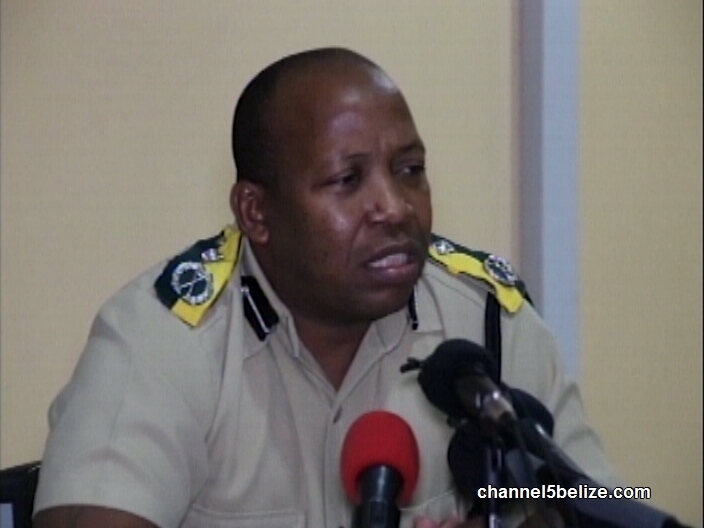 The HRCB will first give the opportunity to the internal disciplinary infrastructure of the Belize Police Department, to do their due diligence however we require that there be a timely, proportionate and just response. In this case, both criminal charges as well as civil suit against the police action as well as against the male in civilian attire who inflicts his own assault on the detained individuals, must be explored. These actions by this officer do not accord with the expectations of the law nor the public and must be condemned with expedition and sternness. The Commission is disappointed in the accompanying officers who do not appear to intervene nor condemn the vicious kick to the face delivered to the civilian. The reasonable position of the law abiding public against the rogue actions of the police officer, PC Tyrell Rowley, does not mitigate nor exclude any criminal acts committed by the victim of his assault before the incident and any such action should be met with the full weight of the law. Violent action such as this, erode the good work done by the other 90% of the police department and officers who sacrifice life and limb for our country and families. It is for this reason that we must draw the line deeper in the sand between right and wrong whether the wrong wears a uniform or not. In the new year Belize must embrace the challenge to be united and uncompromised against tyranny of criminals and their crimes. 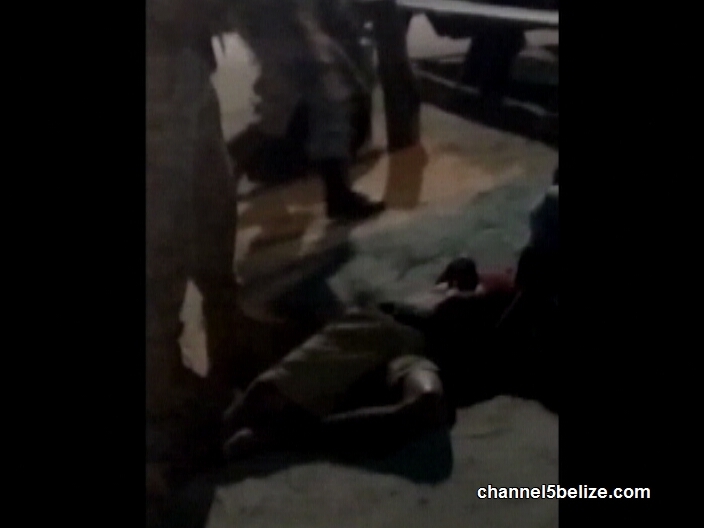 We share the following disturbing video footage of what appears to be members of the Gang Suppression Unit (GSU) beating down on a couple underage males outside a local bar establishment in the Boca Del Río Area, San Pedro Town. Up to now all we know is that one of the males was seriously injured, as can be seen in the video. We will have more on this incident as information becomes available. 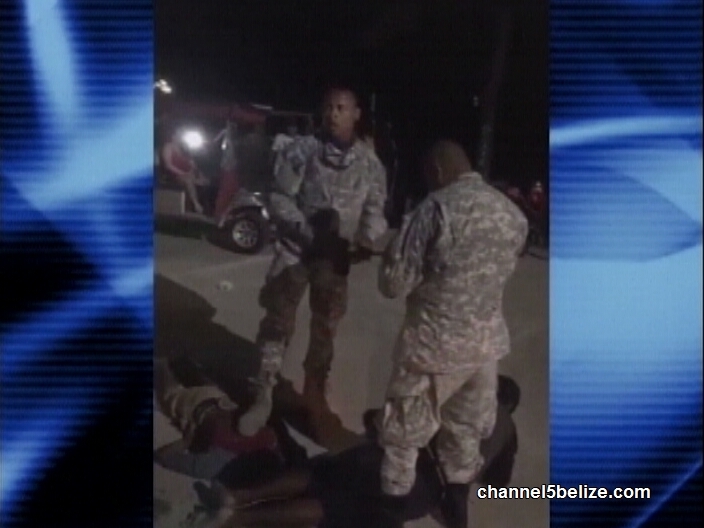 "The Belize Department is aware of a video circulating on social media depicting two police officers and a civilian beating on two individuals. Please note that we condemn this kind of behavior in its strongest form. While we understand the difficulties under which our officers find themselves at times, this is not the behavior we expect of them. The Acting Commissioner of Police has ordered Professional Standards Branch to investigate this matter and the chips will fall where they may. The officers concerned will be suspended from duty pending the outcome of the investigation." I lay odds 10 to 1 nothing is ever done to either PC, they do not care nor does the GOB. This is common occurrence just got caught on camera but nothing will be done. 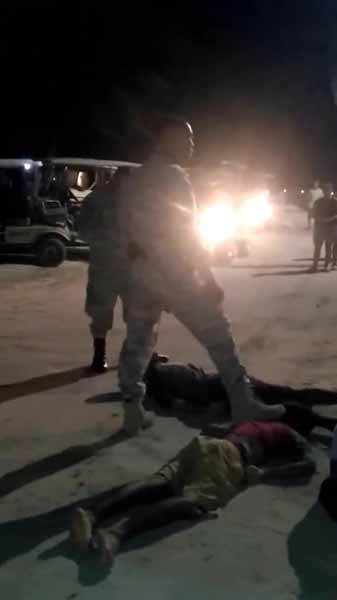 The Professional Standards Branch (PSB) has launched an investigation into the excessive use of force against civilians by two police officers attached to the Quick Response Team (QRT) at the San Pedro Police Formation. 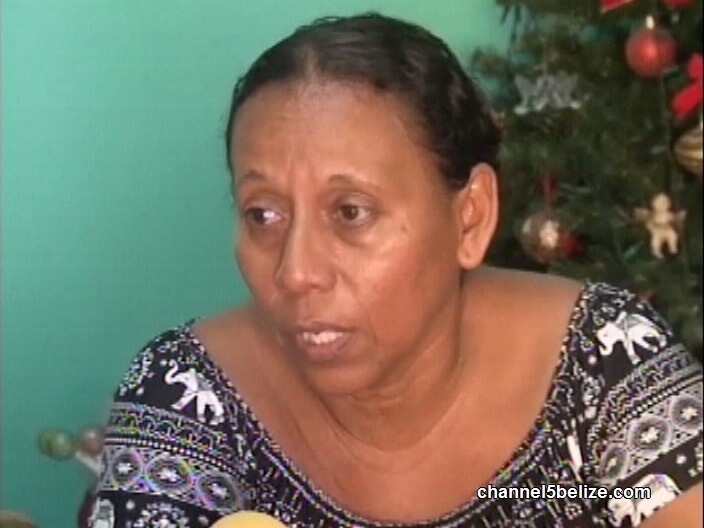 The incident has caused outrage among island residents and thousands of Belizeans across the country. The QRT officers, P.C. No 1919 Samir Medina and P.C. 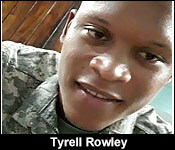 No 2287 Tyrell Rowley are seen in a video shared on social media detaining three young men (brothers Justin, Mario, and Jamir Leal) outside of Playa Bar and Grill in the Boca del Rio area on Tuesday, January 1st, attempting to control a brawl that started inside the establishment. Rowley is seen beating 20-year-old Jamir with a baton and then kicking him on the head while he was subdued on the ground. Rowley also retrieved his service weapon to disperse the crowd, while the business proprietor, Aldo Marin, stomped Jamir on the head while he lay unconscious. All three brothers were then taken to the San Pedro Police station where they spent the night. As a result, both officers have been put on a seven-day suspension pending both criminal and internal police investigation. Meanwhile, the Leal brothers have been released from prison without charges, but the incident reportedly left Jamir with several injuries from the beating. According to Reyes, the incident started with a fight inside the bar between one of the Leal brothers and a young woman. The young lady, apparently his ex-girlfriend, was being attacked by Jamir when the business owner Marin and others intervened. As a result, Marin was attacked by Jamir, escalating the altercation. QRT officers Medina and Rowley were patrolling the area when they were made aware of the fight. They responded where the altercation continued with the officers taking two of the Leal brothers outside of the establishment and pinning them to the ground. 2019 started off badly for law and order; first there were five murders reported on New Year's Day, and then, on New Year's night, San Pedro police were caught on camera clubbing and kicking a defenseless man around like a rag doll - while they manhandled two others. The victim, who appears to have been knocked unconscious is Jamir Leal and the other men are his two brothers. 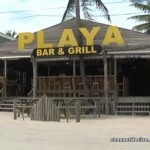 They were the center of a scene of chaos that played out in plain view of the public near the Playa Bar and Grill in the Boca Del Rio area of San Pedro Town. 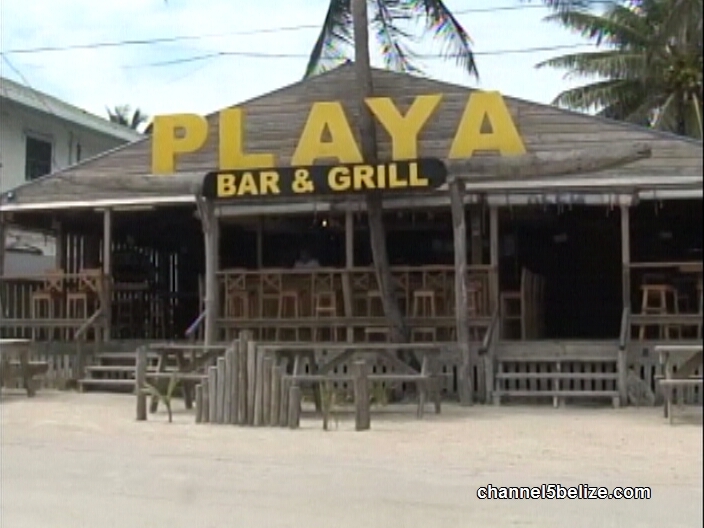 Police were responding to a drunken bar brawl involving Leal, and In trying to control the situation, once again, island the cops got out of hand, brandishing a weapon and behaving aggressively towards members of the public. This is reportedly after Leal, allegedly struck one of the officers. "The video that is circulating on Facebook with 2 police officers and a civilian, who were beating on 2 individuals who seemingly were on the ground. I can tell you that we have since placed those 2 officers on administrative leave, pending a criminal and internal investigation, which is being conducted by Professional Standard Branch. 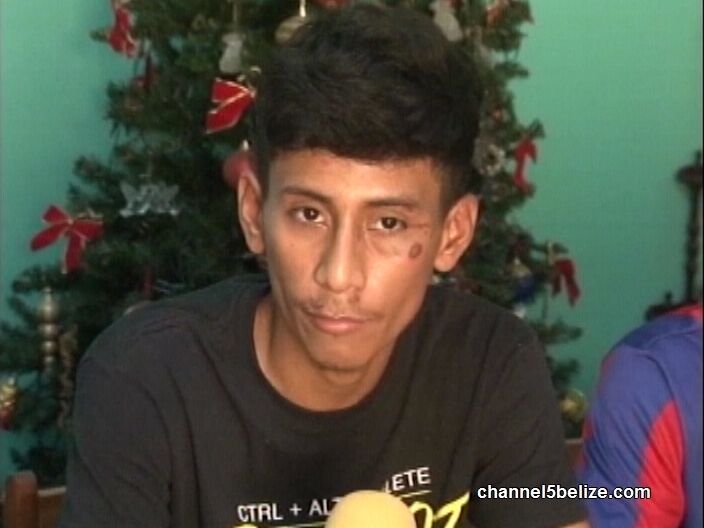 The conduct depict by the video is not what we expect of our officers and so the Belize Police Department condemns the action of those 2 officers in its strongest terms and we are going to ensure that we do what needs to be done to correct the problem." "We understand the public concern about the actions of the police and we will ensure we work with those persons who are there to be able to provide the level of evidence that we would need to be able to levy charges against those 2 police officers." Jamir Leal and his two brothers were released from the Polyclinic this morning. 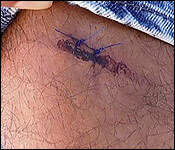 Leal had a few injuries which were treated. You can see his injuries here. He admits he was under the influence and saw his ex with a friend and that's how the entire mess began." We'll have his off camera comments a little later in the news. This afternoon, police released the name of both officers after they were served with disciplinary papers. They are PC No. 1919 Samir Medina and PC No.2287 Tyrell Rowley. They have been placed on seven days suspension pending the findings of a criminal and internal Police Investigation. And while everything looks to be on the up and up - with the cops laying down the hardline and all - you might be saying to yourself, but haven't we seen this movie before? We kinda have - back in April of 2017 - when two police officers were seen abusing a woman and menacing residents with loaded weapons and live rounds. At the time, police suspended them, brought criminal chargesâ€¦the whole nine, but the case fell through and those cops are back on active duty like nothing ever happened. 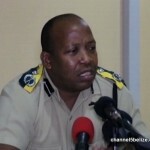 Today, Acting Commissioner Williams bristled and snapped when the press brought up this and other failed prosecutions against lawmen:..
"Could you assure us that this particular incident will be fully investigated and not cover up?" "I think I have made that categorically clear." "Because we had the B-SAG 8 case which fell through." "That did not fell through. Let us not distort or give misleading information. The matter is still with the director of public prosecution and they have said that they will review the file and they will see who will be charged or who will be rearrested from that matter. So let us not give wrong information. As the media you have a responsibility to report accurately, please." "And how about the San Pedro one?" "Which San Pedro one? the one at the park?" "The persons concern refused to go to court and testify against the officers. That we have no control over. The testimony of the person who were affected by the officers was still be required within the police tribunal. So they will also be charged disciplinary. But that fell thru. Due to the fact that the complainants refused to cooperate further. So it is not a matter of cover up. So let us get the notion out of the way." The victim, Jamir Leal has told the San Pedro Sun that he will press charges against police and the bar owner who also stomped on him. The PUP today issued a statement saying, quote, "There are far too many instances where officers have walked outside the law with impunity, and far too many instances where officers acting like criminals have been protected by the department. Enough is enough! We demand that the officers caught on camera be removed from duty and that criminal charges be levied on them." End quote. "In this case, both criminal charges as well as civil suit against the police action as well as against the male in civilian attire who inflicts his own assault on the detained individuals, must be explored." 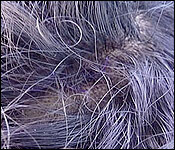 Indeed, in the video, he is seen unconscious. As we said he is at home recovering tonight, and his two brothers who were with him who got beat up as well are at home recovering with less serious injuries. Three siblings were subdued by two police officers on New Year’s night on San Pedro. They were roughed up and one was badly beaten. The chilling images captured on phone video have been met with swift condemnation. The two officers have since been placed on suspension. 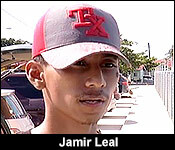 Tonight, we speak to Jamir Leal, the victim of the police brutality. Leal outlines what he remembers transpired before the beat down until he was knocked out cold and regained consciousness inside a jail cell on the island. News Five’s Duane Moody reports. Today, Police Constables Samir Medina and Tyrell Rowley spent the first day of a one-week suspension imposed on them by Acting Commissioner Chester Williams following what can only be described as brute force upon a San Pedro resident. The cruelty by the officers on one of three Leal siblings has triggered public outcry because their actions were unbecoming of a lawman. 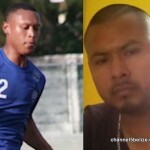 As can be seen in the video, three men were placed face-down on the ground: twenty-year-old Jamir, twenty-one-year-old Justin and twenty-three-year-old Mario Leal. The siblings were out celebrating the New Year at the popular open bar. It’s a regular hang out spot for them; in fact, the owner’s son is a good friend of the family. They recount what led to the cruelty by the officer. It’s a rough time for the Leal family, specifically Jamir, who is completely remorseful and he believes that the incident has brought embarrassment to his family. The siblings are law-abiding citizens and are not caught up in the criminal world. After seeing the video and reflecting on what happened, Jamir accepts that he was wrong when he assaulted his ex-girlfriend inside the bar and that he was inebriated, but didn’t assault the officer. 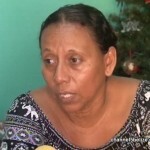 Originally from Progresso Village, Isolina Leal says that they have been living in San Pedro for over thirty years; her children were schooled on the island. Having just seen the video today, she says that she will seek legal recourse for the abuse of her son. San Pedro Mayor, Daniel Guerrero has weighed in on the incident where Jamir Leal was beat down by police on the island. Mayor Guerrero says he, like many who viewed the video, was shocked and expressed zero tolerance for such behavior. 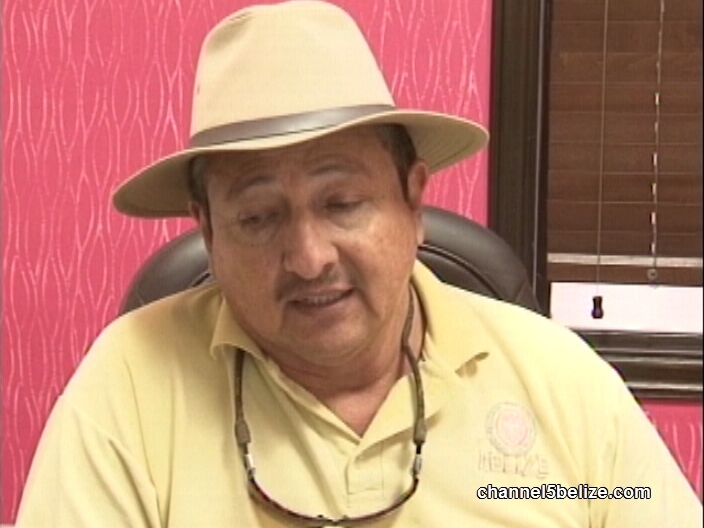 Mayor Guerrero adds that the council and police need to work together to curb the situation. Already, he says, the council works closely with the island police and are trying improve their collaboration bar owners. On Thursday morning the council met with most bar owners and discussed numerous matters. The January one incident continues to be investigated by the Professional Standards Branch of the Police Department. The two police officers implicated in the violent beat down of a San Pedro Resident on New Year's night remain suspended while police investigate. Meanwhile. 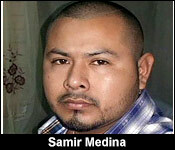 Jamir Leal's family is going through the due process to have the matter formally brought before the courts. The entire nation was aghast when footage of the brutal beatdown of San Pedro resident Jamir Leal began circulating on social media. And while the noise of the incident has somewhat died down after police suspended two of their own - PC's Samir Medina and PC Tyrell Rowley." Leal is still nursing his wounds. Today he and his mother visited the Belize Medical Associates to get a CAT Scan. "I came to get a CAT SCAN for my head to see if I got any injuries and I got an x-ray to check my neck. You see how he kicked me on the video. I still have pains in my neck and my jaw. I just want to make sure everything is good. Right now I am still in pains. I have pains in head and my jaw, my leg hurts and I can't walk well." While his injuries don't appear severe at the moment, he is in a great deal of pain, he says. And although he acknowledges he was at fault that fateful night, he still wonders why police resorted to the level of violence they displayed. "I know I did wrong. I don't want to get in details. They called the police afterwards. I understood I committed a crime. They could have handcuffed me and arrest me and incarcerate me. But they took it to the extreme and they just hurt me." "You have any reason why it escalated to that level?" "I don't know why they did that. They say that I got aggressive, but they could have handled it like a professional." But what Leal might not know is that Tyrell Rowley- who executed this ruthless right kick to Leal's face- may have been acting professionally in a different regard; more like a professional football player. The Constable is a star defender for various teams - known on the field as "Baby Hulk". 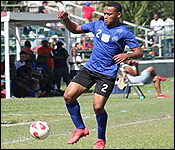 He is seen here playing in the CYDP Peace Cup just last week. Only four days prior to this event. 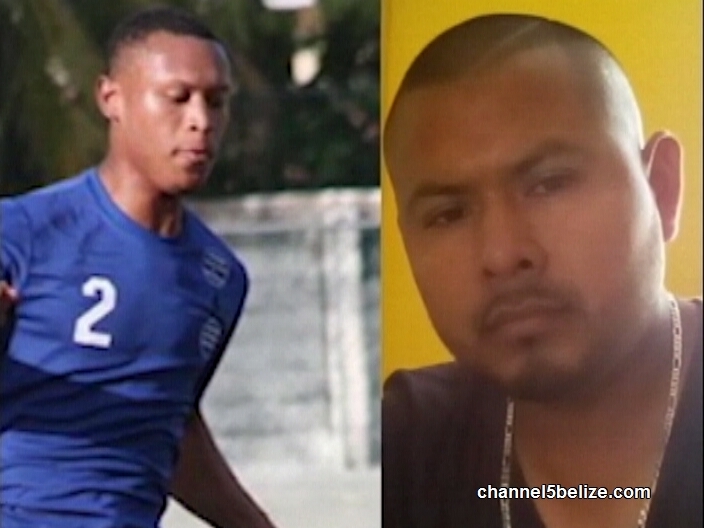 The two others seen on the video being manhandled by police are Leal's brothers. Rowley also kicked one of them after he was shoved to the side by Rowly again who brandished his licensed firearm. Leal however got the worst of it. He also got stomped on the head by a civilian, allegedly the bar owner, And was dragged around by Rowley like a lifeless rag doll. And while all of this was caught on camera, at the moment he didn't feel and has no recollection of what happened because he lost consciousness during the vicious beat down. "I don't even remember when the police hit me. I don't remember his face or anything. I woke in jail. I was bleeding and that was all I remembered." "What was the first thing that was going through your mind at that point in time?" "I was in jail and they didn't sew me or anything. They leave me bleeding and then they wouldn't have taken me to the clinic, it was just because my mother went to see me and she told them to take me." Now, while police are conducting their own internal investigation into the matter, Leal and his family are looking to press charges against the officers. "We are planning to. We can't leave it like that. I don't remember anything that happened. After they released me and I saw the video and what they did to me. I was like that wasn't fair, I didn't deserve to get treated like that. I was unconscious and they continued hitting me. He could have killed me." Reporting for 7 news Emanuel Pech. 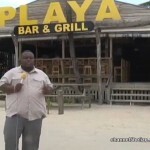 What Will Be Done to Bar Owner Following San Pedro Brutality? 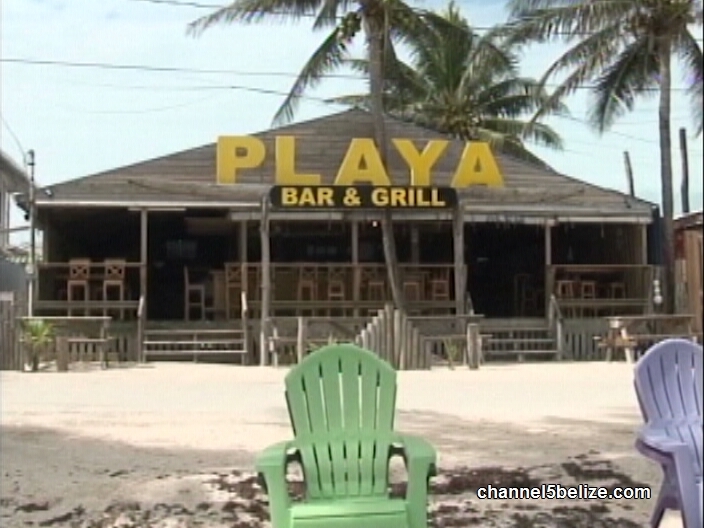 In the aftermath of the New Year’s Day incident, San Pedranos took to social media pledging to boycott Playa Bar and Grill, where the incident unfolded. 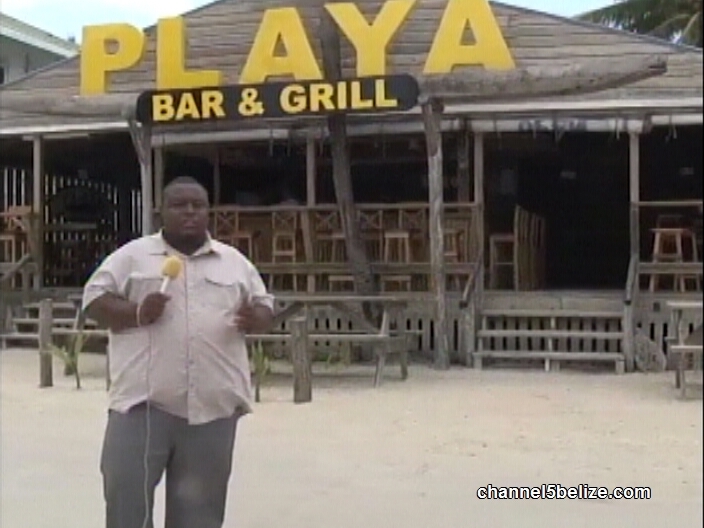 The video captured the bar owner as well as PC Rowley physically assaulting twenty-year-old Jamir Leal, even as he laid unconscious on the sand. His siblings, Justin and Mario, were also placed face down on the ground as they tried to assist their younger brother who had already been whacked several times with a baton and power-kicked in the face. So News Five asked Mayor Guerrero if there is anything that the town council can do with respect to the action by the bar owner. Guerrero says that depending on the outcome of the investigation, the council will then look at the situation and determine a way forward for the establishment. Williams stated that the PSB investigators spoke with the victims and they did not want to proceed with the case. “We cannot proceed without criminal charges against the officers,” said Williams. Even though it is evident in the video footage that abuse of force was applied by the officers, Williams has indicated to The San Pedro Sun that if there is no complainant, no charges can be made. At the press briefing, he touched on the video and categorized it as ‘very disturbing.’ But in the absence of a complaint, Williams indicated that all he can do is direct the PSB to proceed with disciplinary charges against Rowley and Medina. There will be no criminal charges for the two police officers caught on camera giving a vicious beatdown to an unconscious man. Today Acting Commissioner Chester Williams came to the forefront to say that they should bne charged, but there's nothing more the police can do because the victims don't want to press charges. Now this is very different from what Jamir Leal told us on Friday. He told us that he and his family have all intentions of pursuing charges and filing suit. So what is the deal? Well, as it turns out, Deputy Compol Chester Williams also saw that interview and was just as perplexed as to why they are not cooperating with police. Here is what he told us at the police press briefing this morning. "Based on that interview I redirected the members of the Professional Standard Branch to go back to San Pedro with a view to re-interview the individuals, hoping that they would have change their mind, based on what I saw with 7news interview and again that was done and they still refused to cooperate with investigators. In light of that, we are left where we cannot proceed with any criminal charges against the officers. But from a view of the video footage which I have said from the inception is very disturbing. I have nonetheless directed Professional Standard Branch to proceed with disciplinary charges against the officers. To be frank with you, I do see what could justify the actions of the police. It is clear in the video that men were on the ground helpless and action to the police beating at them, I don't see how that could be justified in any way. Even if they were involved in a brawl before. The fact is you already have the matter under control. Then what you need to do then as a police is to detain and take them to the police station and not beat on people the way they were." So while the two individuals will not be criminally charged, they will be facing internal disciplinary charges on two counts: One for the beat down of a subdued individual and the other for allowing a civilian to beat an individual on the ground. And while that is the action being taken as far as the police are concerned, the family has said it will sue the police department. That is because the police department. Williams said they expect a lawsuit. 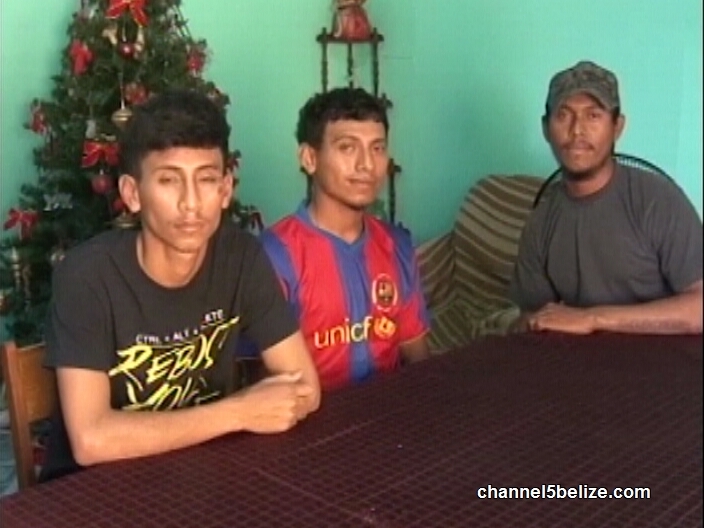 "They have expressed the fact that they have obtained the services of an attorney and they will be suing the officers and the police department by extension, the Government of Belize. So when that lawsuit comes then we surely will have to deal with it." "Is there a reason why they are not forthcoming with the police?" "I cannot say if there is a reason. I don't see why they should be distrust, because the officers who went are not officers from San Pedro, they are officers from Belmopan who work with the Professional Standard Branch and there is no connection between those officers and the officers who worked in San Pedro. I would have hope that we would have obtained their support. We took 2 bite at the cherry and if they refused, there is nothing much that we can do where that is concerned." And, oddly, the family of the victim is also being tight lipped with the media. We attempted to get in contact with them for clarification on these recent developments but they declined comment. All the mother of the victim told us was that she requires time to speak with her family. When asked about their unwillingness to cooperate she simply said her children went in to give their statements and that is that. And while the family reserves comment, police cannot. The embattled Department is being judged in two courts, the court of and the court of public opinions. 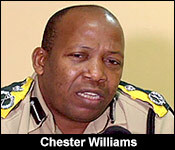 The latter, which Deputy Compol Williams says, is relentless in its criticism. "We have seen on social media where we, the police are still being criticized over what transpired in San Pedro and the actions that we had taken. I need to make it clear that we are a country of laws and while people may wish to see that the police act swiftly in dismissing members of the department who they believe may have done wrong, our laws do provide a mechanism. A system of due process that officers and any public officer must go through before a dismissal. We cannot act in such a way that whatever we do is contrary to the laws that governs our actions, because then that will open us to lawsuits." We'll keep trying to get comment from the family. Police have just notified us that PC Tyrell Rowley was arraigned today for 2 counts of prejudice to good order and discipline and PC Samir Medina for 1 count prejudice to good order and discipline. Both pleaded not guilty. Case was adjourned to 21.1.19.